At this time of crisis in Peru – all donations will directly support the shipment of containers to Lima. As of March 20, 2017 – we have three containers enroute to Lima via sea. Plus we have two containers nearly ready to ship in the next 9 days. You can support the people of Peru directly with a donation. For every dollar donated, VIDA is able to provide $150 in medical aid to people in need. Support VIDA’s work by making a financial or in-kind contribution or by volunteering your time at our warehouse in Emeryville. We need help sorting the truckloads of donations we pick up every week from local hospitals. No need to sign up – just come to the warehouse between 11-5 pm Monday thru Friday. 1519 63rd Street, Emeryville / cross street is Hollis. Free parking nearby. 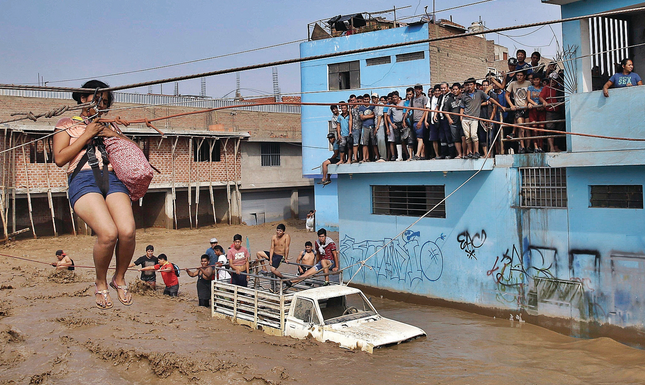 No Comments to "Peru is in a state of emergency due to flooding – you can help."